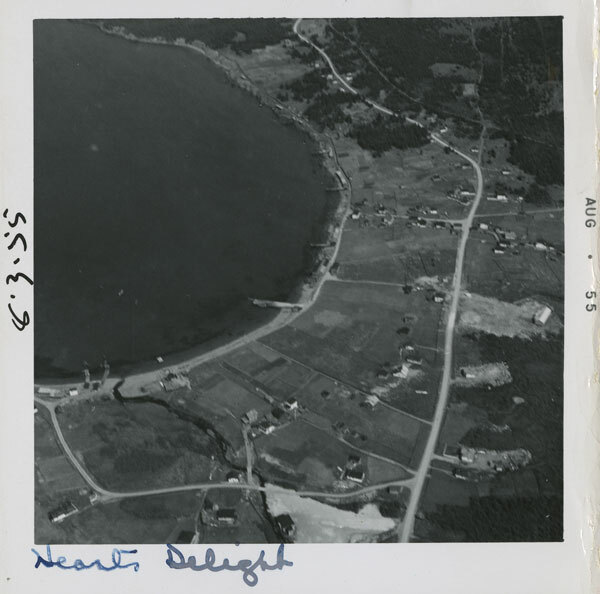 Heart's Delight 1955 aerial photograph by Lee Wulff, photo A 14-77.2 at The Rooms. We had a really positive workshop last night in Heart's Delight - Islington. 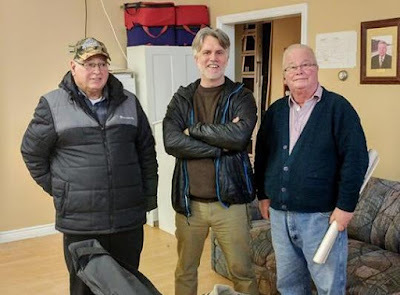 They have a new town Heritage Committee, and seem to be really keen on doing some work documenting and safeguarding living heritage. We chatted about what makes up “Living Heritage” and introduced the five categories of Intangible Cultural Heritage as defined by UNESCO. From there, community members came up with a long list of local traditions, skills, crafts, customs, and knowledge. One of the best parts of my job is that I'm always learning new things (and new words) and last night was no exception. People talked about fishing skills and berth names, bean suppers, candy-making, tying knots in young tree branches and letting them grow to make things like gavels, and "randying the girls home" - which isn't as rude as you might think. Locally, "randying" means sliding (sledding, or what a mainlander might call "tobogganing") down a hill, or pulling someone on a sled/cat/slide. "Randy" gets its own entry in the Dictionary of Newfoundland English. Prioritizing our list of possible living heritage themes. After MUCH discussion, there was a general consensus that the best place to start would be to do some further work documenting, recording, and promoting the knowledge and practice of the traditional Heart's Delight - Islington Christmas Carols. These are two very old traditional carols, which exist in modified versions in some of the nearby communities, but which are still widely sung in Heart's Delight - Islington. Traditionally, they were sung by men, who would travel to every house in the community. The custom continues with some changes over time, but more work is needed to safeguard this very special local tradition. There were other recommendations which you can peruse here. Want a "Where is our Living Heritage?" workshop in your town? Drop me a line at dale@heritagenl.ca.